Trips for Kids Phoenix is a 501c3 and all donations are tax deductible. All donations will be used to grow our ride program. Your support is greatly appreciated! Our mission is to provide transformative cycling experiences for underserved youth. Our programs aim to build self-esteem, inspire healthy lifestyles and instill environmental values. Across the nation, kids who live in an inner city or who come from low-income families are faced with more challenges than ever before. Lacking a positive physical outlet, drugs often become the answer to stress and frustration. Conflict resolution is approached through gang membership and a chance to accomplish goals is, more often than not, completely ignored. A mountain bike is the tool we will use to address these issues because kids and bikes are a natural combination. Many of us remember riding around the neighborhood as a kid, getting a flat and putting away our bikes until our parents could bring it to a shop. Our sense of freedom that those two wheels instilled was now gone. As a result of this affinity, the bicycle allows us to share the great outdoors while teaching skills and a number of valuable life lessons to youth from inner cities. Our rides will provide challenges and the opportunity to learn new skills, meet new people and become involved in a lifelong career and sport. After the ride, we reflect on the personal lessons learned and encourage all of the kids to apply these lessons to other aspects. 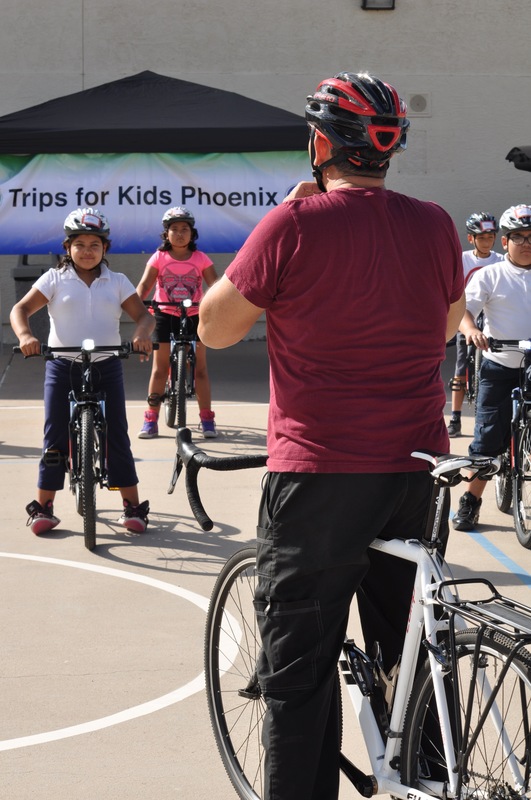 The kids who will come on our Trips for Kids Phoenix rides will come from areas where riding around the neighborhood” is not an option and most so not have access to bikes. Getting out of the confines of the city and having a good old-fashioned fun time is valuable for youth who are constantly surrounded by pavement, drugs and violence. In this environment, kids will be given the chance to just be kids again. And a one-to-three ratio of volunteers to youth means that each child will receive special attention and support from a caring adult. Would like to donate 2 good bikes.